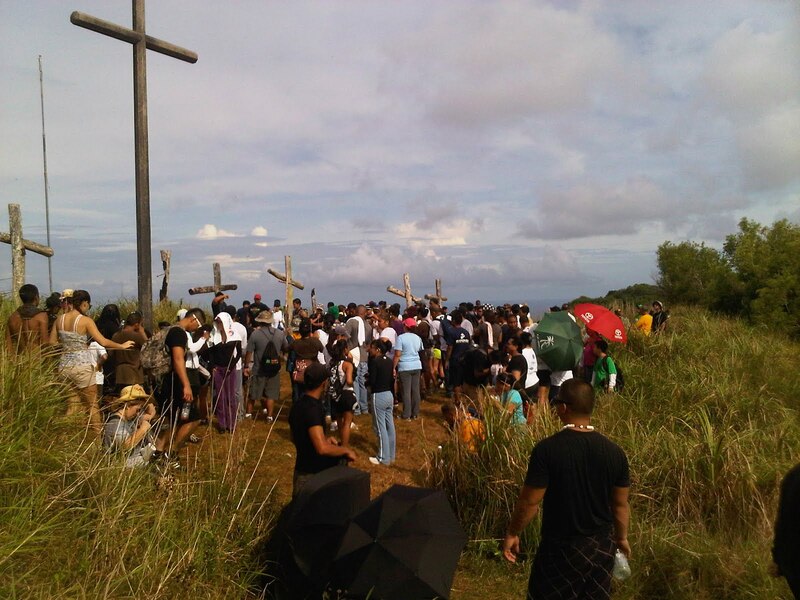 Every year on Good Friday I take my children up Mt. 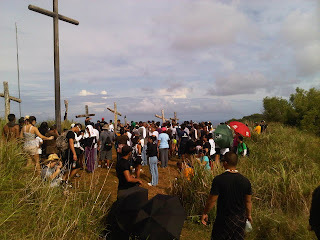 Jumallong where each year thousands of Guam residents trek to the top with a large wooden cross. However, for many years we did not go up in the morning with the crowds, but in the afternoon where we had some privacy to pray along the way. This year I decided to go up in the morning again just for the experience. As expected, there was the usual mix: people praying, people cussing, people partying, people shouting, running. It bothered me at first to hear the F word and the S word casually flung about as we attempted to enter into the holiest of experiences: the way of the cross. I kept my head down and trudged upward, stopping at each station to pray with my kids and concluding our prayers with a singing of the Stabat Mater. It helped me reflect on something I heard on a Christian radio station yesterday: that Christ's real suffering was way beyond the physical. 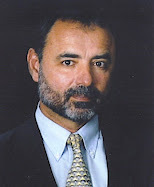 The speaker mentioned that lots of people suffered crucifixion. Christ's physical sufferings were not unique. What was unique about the suffering of Christ was the inner crucifixion he suffered: the rejection of His love by those he "knit in their mother's womb" (Ps 139). But still couldn't help but think that such disrespect and casual observance is something fairly new for Guam. Too bad.